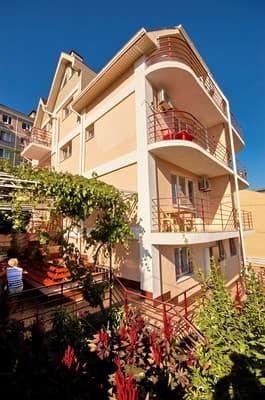 Mini-Hotel "Southern House" is located in a quiet area of ​​Alushta, a 15-minute walk from the beach. 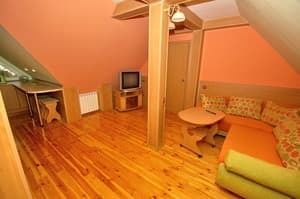 The hotel has 13 rooms, each of which is equipped with comfortable furniture and modern appliances (TV, refrigerator, air conditioning). Hot and cold water is supplied around the clock. The hotel "South Lodge" - a cozy gazebo, brazier, sauna for 4 people, parking, as well as access to Wi-Fi. The hotel has a dining room where you can eat delicious. Arrangement of the transfer is possible by prior arrangement. 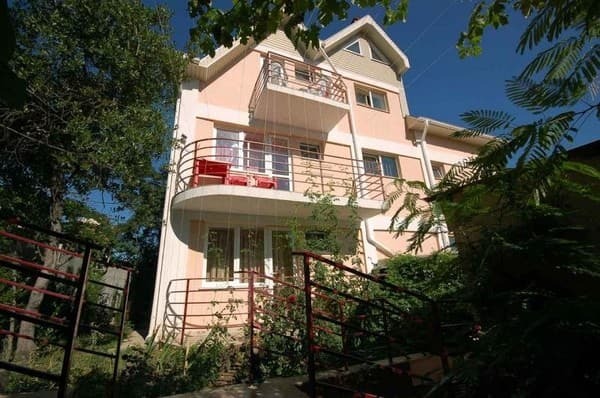 Nearby is a grocery store, in 10 minutes is located a small market where you can buy fresh vegetables and fruits. For clients of the hotel "Southern Lodge" is included in the cost of visiting a leased beach in the Professor's Corner. The distance from Simferopol is 48 km, from the bus station of Alushta - 1 km. PRICES MAY CHANGE, YOU NEED TO RECEIVE INFORMATION FROM THE OPERATOR! Description of the room: Spacious rooms close to home. In the rooms: double beds (or two single beds), a sofa bed, a chest of drawers, a dining room and tea utensils. Hairdryer - on request in the reception. Description of the room: Two-room mansard room consisting of a bedroom and a living room. In the room there is a wooden staircase. In the bedroom there is a double bed, a sofa bed, a chest of drawers. In the living room there is a soft corner (folding). Hairdryer - on request in the reception. Children under 3 years old are accommodated free of charge (without extra bed). The cost of extra space is 80 UAH. 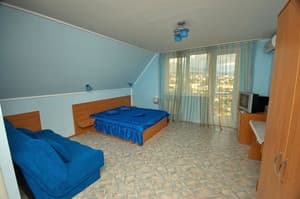 The mini-hotel is located in a quiet area, near the bus station of Alushta. To the sea - 15 minutes walk. 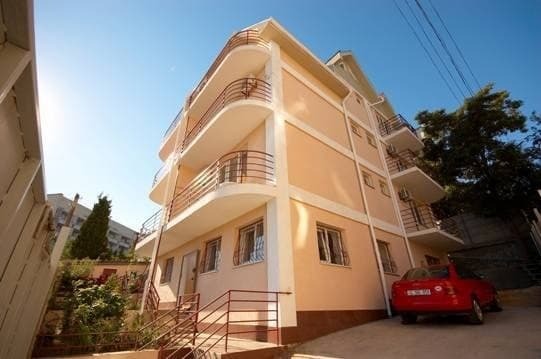 The distance to the bus station of Alushta is 1 km. Simferopol is 48 km away. From Simferopol to Alushta: trolleybus No. 51, No. 52, by bus, taxi, by car. 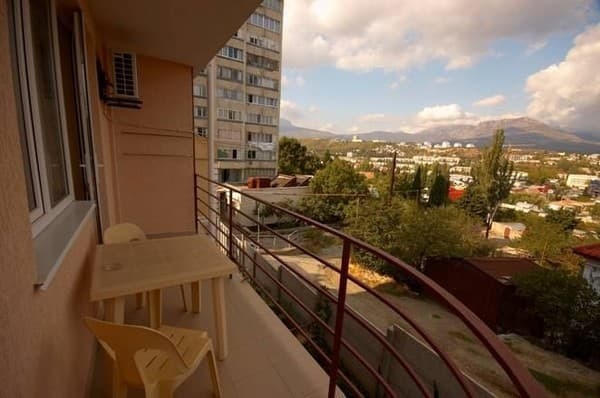 From the central bus station of Alushta on the way to the Professor's Corner, the first turn to the left, go round the high-rise apartment building. Transfer is possible at an additional cost.